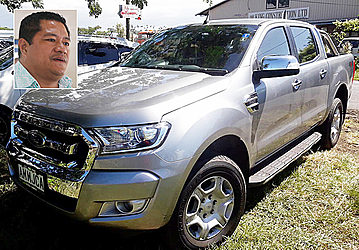 The Associate Minister of Justice and Courts Administration, So’oalo Mene, has rejected reports that a Government vehicle assigned to him was damaged during an incident outside a local bar involving his wife last weekend. “I invite you to look at the vehicle and you can see nothing was damaged,” he said. 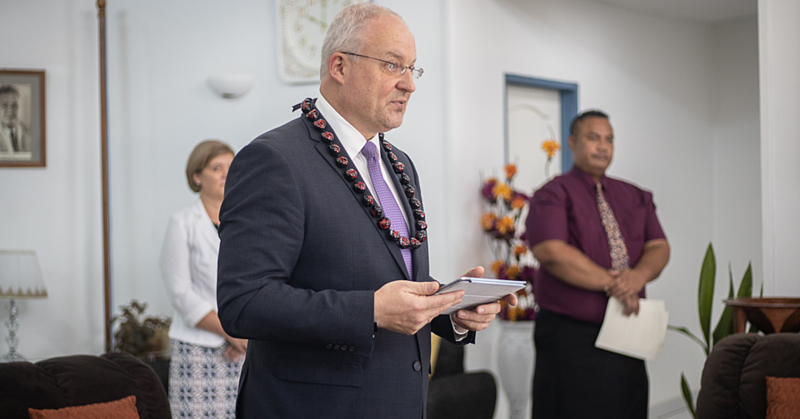 In speaking to the Samoa Observer, the Minister wanted to clear the air after social media reports that the Government vehicle was damaged by his wife. The Associate Minister admitted that there was a disagreement between him and his wife. “Look this was an exchange between my wife and I. I am cautious. This was a personal disagreement with my wife. “It is no one else’s business. I’m cautious about the impact this will have on my family, let alone my young children. So’oalo admitted his wife threw bottles but not at the car. He said he was the target. “I don’t want my children to read about our fights on the media and that is why I am a bit reluctant but I have had enough of being ridiculed by posts on social media. He also took the opportunity to explain the impact these “untruthful reports” have had on his family. “I have to say that my family name has been dragged to the mud and tarnished on social media over unfounded and untrue allegations,” he said. “And to what extent, there have been posts about me and my family repeatedly over social media in the past six months and I feel like I am walking on needles, watching every little thing I do. “For instance, last month, posts about our site visit to Savai’i, which reported that we were there for a mini vacation, which was again untrue. “While in Savaii, the site visit led to the Ministry of Justice, Courts & Administration (M.J.C.A.) office in Tuasivi to relocate to Salelologa once their proposed new compound is complete. “Our Minister of Justice and Courts Administration, Faaolesa Katopau Ainuu, will attest to it and many other Ministers. “This was after all a ministerial site visit and as indicated earlier, the proposed budget for the new M.J.C.A. 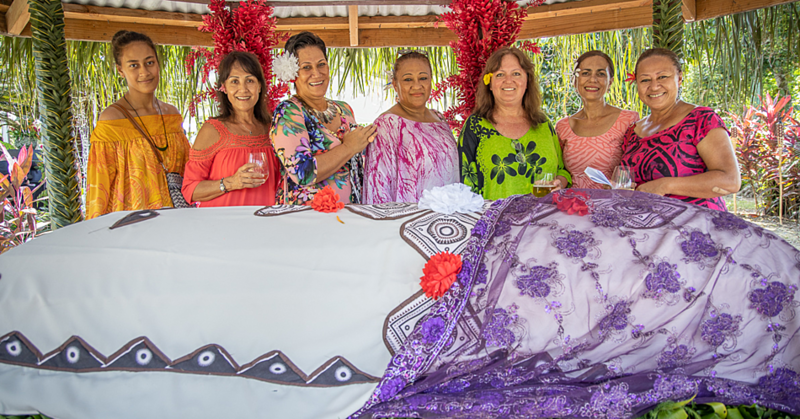 offices is about $2 million tala and this will cover both the Court houses and the Ministry offices as well as a separate building which will serve as the judge’s residence,” explained So’oalo. According to the Associate Minister, the fabrication of information is cyber bullying. “I have never been bullied in my life until now and the impact on the mental wellbeing and health is quite significant. “These personal attacks hurts people, hurts my family and most especially the innocent small people, my children,” said So’oalo.